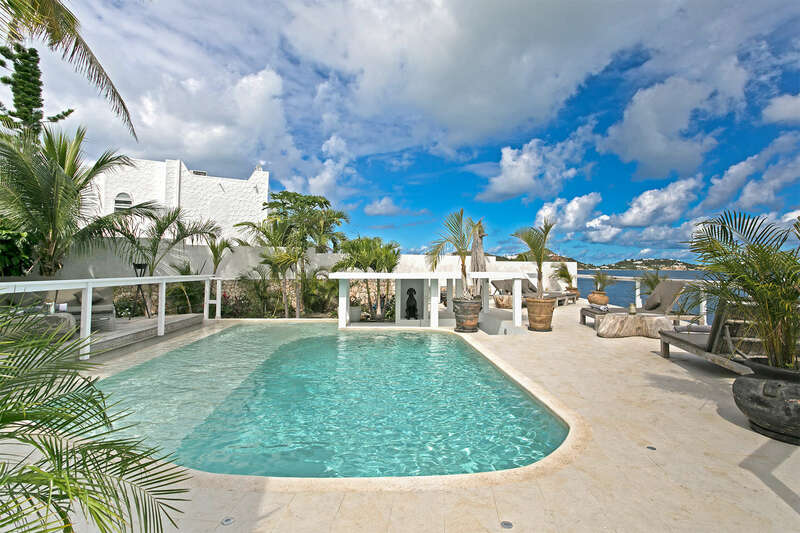 Introducing Blue Lagoon, a veritable oasis located on the waterfront of Simpson Bay Lagoon at Point Pirouette, a gated residence close to the Maho area in Dutch St. Maarten. This beautiful five bedroom home with a Bali inspired decor is surrounded by tropical gardens and features a gorgeous pool and multi-level deck providing an idyllic setting that makes the most of the perfect Caribbean climate. Complimentary starter pack: milk, mineral water, juice, eggs, cream cheese, crackers, butter, bread, jam, beer, cokes, coffee, and tea. Jetty and boat for rent.